Home » Alderman Mitchell » South Shore Library Set To Get $2.5 Million Upgrade With New Recording Studio And More by Blockclub Chicago. The South Side library will get a new teen media lab and a teacher on staff to help with homework, too. SOUTH SHORE — The historic South Shore Branch Library will soon get a major overhaul thanks to $2.5 million in city funding, city officials announced Wednesday. Flanked by Mayor Rahm Emanuel and a group of South Shore Academy students, Ald. Greg Mitchell (7th) announced the library project, 2505 E. 73rd St., at a press conference Wednesday. It’s the latest Chicago Public Library facility to get an upgrade after a slew of other library projects have opened — including a $12 million makeover of Chatham’s Whitney M. Young Jr. Library. When completed, the 18,000-square-foot library will have a YOUmedia lab, as well as a recording studio for teens and young adults. It will also have a teacher on staff from 3-6 p.m., five days a week, to help with homework and dedicated “technology tutors” to help adults learn basic computer skills or apply for jobs online, according to a city press release. 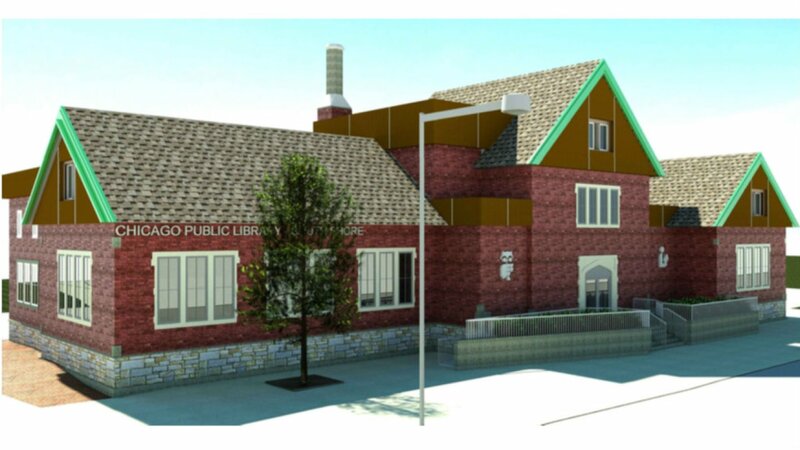 Renovations to the 90-year-old library will also include repairs and upgrades to the library’s exterior walkways, roof and windows, a new early learning space, a dedicated area for young adults, new flooring, new paint, and a new circulation desk. Mayor Rahm Emanuel announces South Shore library is set to get a $2.5 million overhaul. Construction on the project will begin in March, city officials aid. The project will be managed by the city’s Department of Fleet and Facilities Management. Tanya Trice, executive director of the South Shore Chamber of Commerce, said that the revamped library will offer student tutoring, career advice and resume help. “Thanks to the passion and dedication of the mayor, Chicago has been investing in more libraries, directing more resources to our children and laying the groundwork for a stronger, more successful future for all of our residents,” Trice said. Emanuel, who said South Shore is experiencing a “renaisssance,” said the library overhaul is “a contribution to a larger strategy. “It’s important that we modernize something that has stood the test of time for 90 years,” the mayor said. Officials also announced plans to transform the Henry E. Legler Branch Library, located at 115 S. Pulaski Rd. in Garfield Park, into a regional library with expanded hours and services Wednesday. That project will be funded by a $4 million from the Illinois State Library and $7.5 million in city funding. Beginning this summer, the 36,000-square-foot library will undergo renovations and updates that include a new layout, new community and study spaces and new technology that will make way for new programs — including a new “Artist in Residence” program — at the library site. 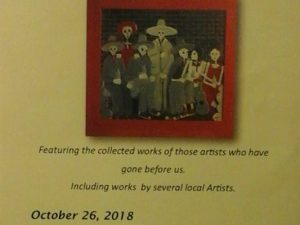 Once the renovations at the regional library is complete, Kerry James Marshall’s painting “Knowledge and Wonder” will be reinstalled, city officials said. “A regional library branch on Chicago’s West Side will provide a vital community anchor for our residents, and a significant down-payment on a more equitable future for the entire West Aide,” Ald. Jason C. Ervin (28th) said in a press release, thanking Emanuel and Secretary of State Jesse White for making the project possible. Nearly $300 million in new investments have been made to modernize city libraries since 2011, city officials said. Community Meeting at City Hall about Family Dollar 95th & Jeffery.